Since taking office in 1997, Treasurer Perdue has worked diligently to make West Virginia a better place for families, business owners and citizens of all ages. As the banker of state government, Treasurer Perdue manages more than $13 billion of state money annually. The Treasurer’s Office has set records in the Unclaimed Property Division by returning more than $120 million to rightful owners over the course of his administration. 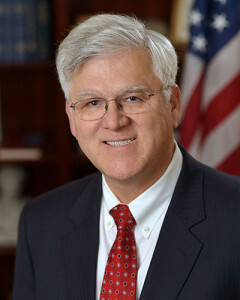 In addition, he oversees the state’s Board of Treasury Investments, the West Virginia Retirement Plus deferred compensation plan and the SMART529 college savings program. The Treasurer’s commitment to education is unparalleled. His NetWorth financial education program is nationally recognized with the distinct honor of a 2009 Excellence in Financial Literacy Education Award. The NetWorth program was also selected as a regional finalist for the Council of State Government Innovations Award for two consecutive years.